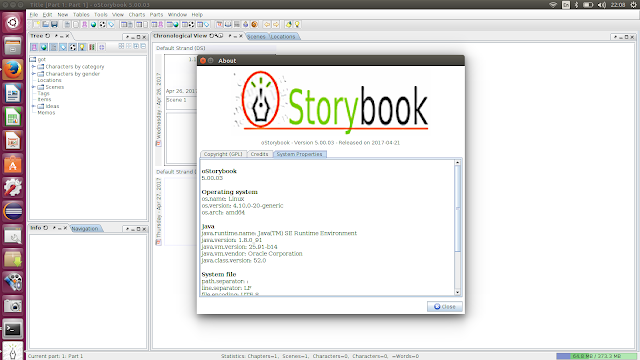 Storybook is an open source software for writers, essayists, authors. Used from the draft to the final work, with oStorybook you can never lose the history of the field of view. oStorybook helps you to maintain control over the various developments of your story. Except for the usual schedule, version 5.00.02 is available. The version of April 2017 presented some serious anomalies which justified this publication of urgency. The GetDeb repository contains the latest packages of oStorybook, available for Ubuntu 16.04, Ubuntu 16.10, Ubuntu 17.04 and derivatives.